I have a lot to say about ecosystem products! I actually have three ecosystem products to review, which were very generously given to me as samples from the company: the lined journal (green), the week + notes planner (pink) and the week on 2 pages planner (black). Rather than do it all in one massively long post, I will talk about the ecosystem brand itself and the lined journal in this post, and the two planners in Friday's post. Where do I start?? There's so much to tell you! I'm just going to have to jump right in. 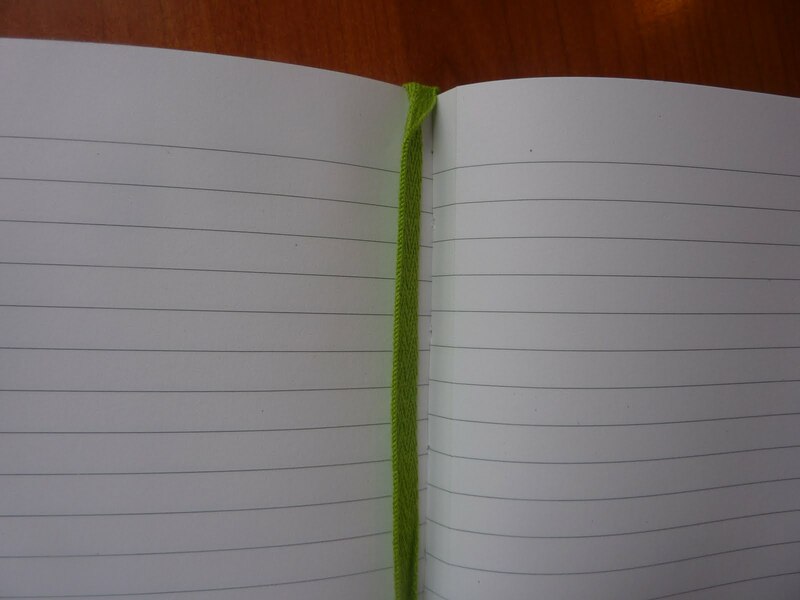 ecosystem is a brand of 100% post-consumer recycled notebooks and planners which are 100% made in the USA. Every single component, from the paper to the elastic strap to the cover, is made in the US. ecosystem products use New Leaf paper, which is 100% post-consumer recycled and prepared using a chlorine-free bleaching process. All print throughout the books is soy-based. The books are printed in Maine at a printing facility that uses a reverse-osmosis water filtration system, ensuring clean water runoff. The covers are produced in Rhode Island with 100% post-consumer paper, and coated using water-based technology. The environmentally-friendly latex that coats the covers can be recycled into heating oil! The elastic strap and ribbon bookmark are made with organic cotton and dyed with water-soluble, low-impact dyes. Even the packaging is made from recycled materials! The planners and notebooks come in a variety of colors: onyx (black), watermelon (the gorgeous pink you see in the photo above), lagoon (a beautiful vibrant blue), clementine (bright, clear orange), and kiwi (the nifty green color of the journal I'm reviewing here). The new grape color covers will be available at the end of this month, which I am very excited about! Inside the back cover of every ecosystem planner and notebook there is a book ID code that you can type into the website to find out all about your book, when it was manufactured, where each component was sourced, and even how many people are employed at each manufacturing facility. Also with the book ID code you can register your book on the website so that if you ever lose your book, the finder can type in the book ID into the website so that ecosystem can reunite you with your book! Also available are inserts that slip into the back pocket of the notebooks and planners. These inserts come in: monthly planner to get an overview of each month; grid, lined or blank paper; address booklet insert; or to-do lists. These inserts greatly expand the possible uses for your book. I will talk about the details of the planners in my next post, here I will focus on the notebooks. 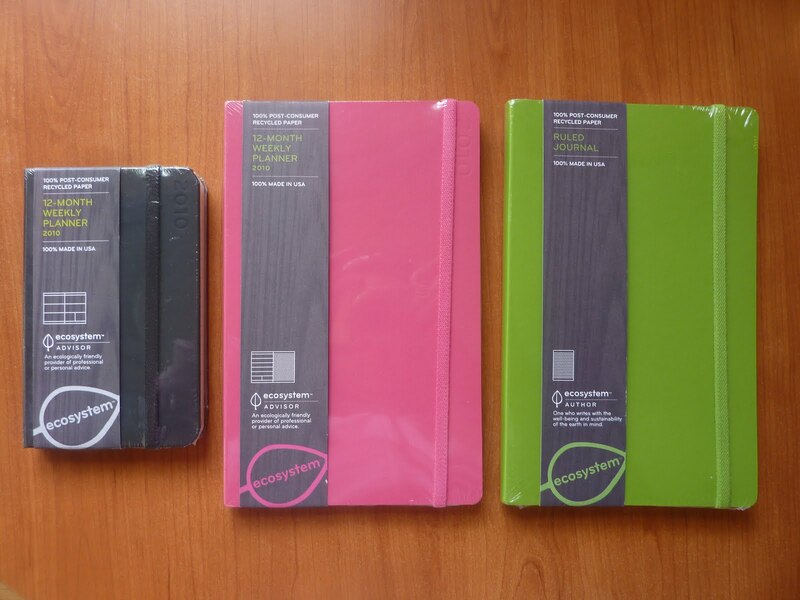 The notebooks come in a variety of sizes and cover styles. 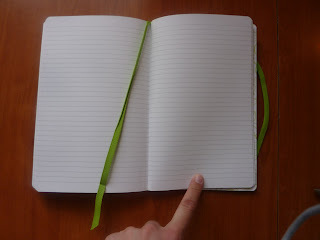 The Architect notebooks have grid paper, the Artist notebooks have blank paper, and the Author notebooks have lined paper. The notebook I received to review is a Medium Author (lined journal): The Medium size measures 5 1/4 by 8 1/4 inches and is exactly the same size as a Large Moleskine. In fact, I am happy to report that the Medium size ecosystem planners and notebooks fit into my Rickshaw Bagworks Moleskine folio, for those of you who are interested! The paper itself is very good, and I would never have guessed it's 100% post-consumer recycled. You can tell there is some recycled content because there are some tiny flecks in the paper, but it is very smooth and bright white, not something you normally see in 100% recycled paper. I don't use fountain pens so unfortunately I can't tell you how the paper performs with them. I use a variety of pens, normally Sakura Microns, Pilot V5s and Sharpie pens. With these wet ink pens there was very little show-through and absolutely no bleed-through. Interestingly, on one side of the paper I noticed some slight feathering of the ink lines but not on the other side of the pages, so there is a very slight difference in texture on the front vs back sides of the paper. For me, it's not enough to make any difference. 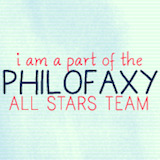 People who are very picky about their paper may notice it more. 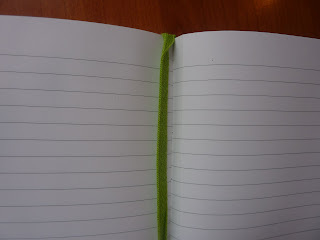 There is a gusseted pocket in the back to hold notes, cards and whatever else you want. As I mentioned before, the ecosystem notebooks come in a huge variety of sizes, formats and colors, so you are sure to find a notebook to fit your needs from this lineup. Additionally, according to one of @ecosystemlife's tweets on Twitter, they will have a sketchbook available late fall with 80g white paper that will be suitable for watercolors. Ecosystem products can be found in participating Barnes and Noble, and Staples stores and also can be purchased online. How do these compare to the Mole's would you say? 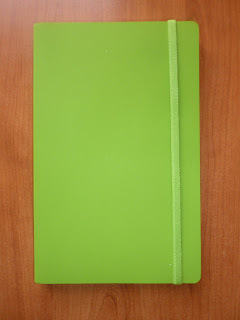 I am toying with ordering a Kiwi Author (lined one) for a 2011 Journal, since I am on my lime green kick! I get that it's recycled paper...but otherwise, how would you rate it as opposed to a Mole?